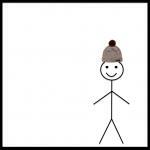 THIS IS BILL; BILL SEES A BULLY PUNCHING ANOTHER KID; BILL HELPS THE INJURED KID AND SHOOS AWAY THE BULLY. 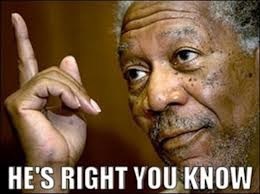 BILL DOES NOT STAND BY, RECORDING A VIDEO OF IT, AND THEN WALKS OFF POSTING IT TO EVERY SOCIAL MEDIA. 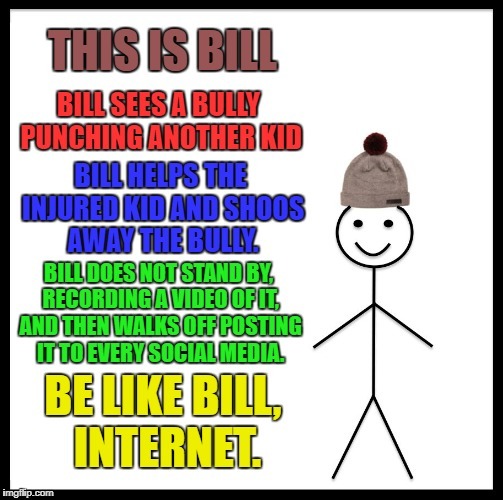 BE LIKE BILL, INTERNET.